Last weekend a friend stopped by for lunch and to show off his newest purchase—a shiny new SLR camera. Almost as soon as we sat down the questions started. What was the difference between the P and the green square, he asked, pointing to the mode dial. And was using the Portrait mode better than fiddling with the settings himself? For all the work camera companies have put into making their cameras as easy to use as possible, many people still find the process of getting a good shot shrouded in mystery. That’s partly because, to take advantage of the full creative potential of your camera, you need to take the reins and make some decisions yourself. And that can be scary if you aren’t sure what is happening behind the scenes. That’s why we regularly feature photography tips and how-to articles on Macworld. Each month we give you stories about the latest camera technologies, managing your photo library, and turning your snapshots into interesting projects—all from a Mac user’s perspective. But we know that digging back through all of those stories—some of which appeared only in print—can be a hassle, if not impossible. For readers who want all of that information in one place, we’re pleased to offer Macworld's Digital Photography Superguide. In the third edition of our popular photography book, we offer the latest advice on buying a new camera, getting great shots, and using iPhoto ’09 to manage and edit your growing photo library. All of the information has been updated and expanded to cover the latest developments, and comes organized in an easy-to-follow guide. In this 136-page book, we step you through the entire photography process, from shooting in difficult situations—including under water or in dim rooms—to importing photos quickly and safely, to adding valuable information like names, locations, and ratings to your files. We explain how to use iPhoto’s levels histogram to take the mystery out of correcting a photo’s colors and lighting. Once you’ve polished up your photos, you’ll even learn how to show off a bit by turning them into giant posters, printing them on fabric, or creating beautiful slideshows, calendars, books, and more. We also show you how to protect your photos from hard drive disasters. If you’ve been wishing you knew more about your camera or feel overwhelmed by your photo library and aren’t sure where to turn, this book can help. The Digital Photography Superguide comes in three convenient formats: you can download a PDF for $12.95 for immediate access. If you prefer to have something you can hold in your hand, you can get the PDF mailed to you on a CD for $12.95 or get a beautiful, full-color printed book for $24.95. Want to take a peek before you lay down your money? Go ahead. You can download a 14-page, 2MB preview that includes the table of contents and a few sample pages. Also available in our Superguide series are the iPhone & iPod Touch Superguide, Mac Gems: 240+ Softwarte Bargains Mobile Mac Superguide, Mac Security Superguide, Mac Basics Superguide Leopard Edition, Mac OS X Hints, Leopard Edition, Total Leopard, and the Digital Music and Video Superguide. We think they’re really great books, and we think you will, too. 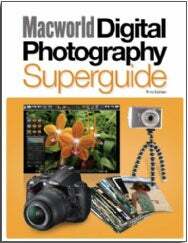 Click here to get more information on how to buy the Digital Photography Superguide.